The primary purpose of Jubilees is therefore to define the true Jewish people as those who keep God’s law and to call the Jewish people back to obedience to that Law (suggested by Sanders in Paul and Palestinian Judaism, 362). The Law is rooted in the very creation of the world. To violate law is therefore to flaunt the created order itself. Given the probability of a date just after the Maccabean revolt, the writer is reacting to those within the Jewish community who were too tolerant of the Greek world. When Antiochus IV Epiphanies banned feasts and festivals, the Sabbath and circumcision, he violated the Law of God. The Maccabean revolt did not go far enough, since the Hasmonean kings were little better than the Selucid kings they replaced. To be a proper Jew, one must retain the traditional boundary markers of the Hebrew Bible. 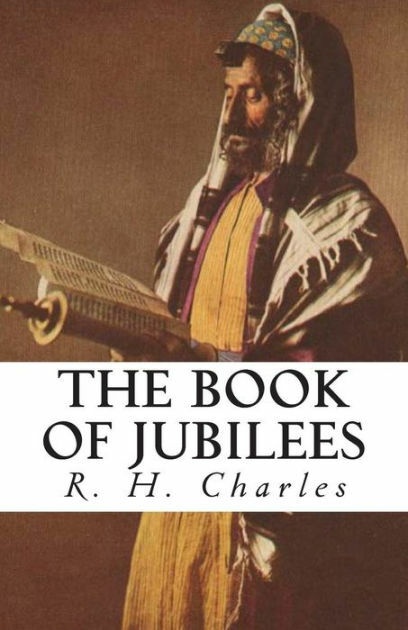 Unlike Sirach, Jubilees envisions a complete separation from the Hellenistic world. It is not “wisdom” which is rooted in the creation, but rather the Law of God as it appears in the Mosaic Law. While Sirach said wisdom was to keep the Law of God, he was never very clear on what that Law might be. The author of Jubilees is quite clear as he re-writes the stories of the Hebrew Bible to establish the antiquity of the boundary markers of the Jewish people. Joe Hellerman argued Jubilees (along with 1-2 Maccabees) is preoccupied with “symbols of Jewish socio-political identity,” primarily the practice of circumcision, the distinction between sacred and profane places, times, and foods.” (“Purity and Nationalism in the Second Temple Literature: 1-2 Maccabees and Jubilees,” JETS 46 (2003): 401). Sacred times and places are clearly of importance to the writer of Jubilees, but all of these boundary markers are precisely the points of conflict during the Maccabean revolt and continued to be important symbols of Jewish nationalism in the first century. Circumcision and sacred times, and food laws are all points of conflict in the early church when Gentiles began to join an otherwise Jewish sect. The issue of sacred space was less of an issue outside of Jerusalem, although Paul certainly encounters the idea of the Temple in Acts 20. Jesus too encounters resistance from the Pharisees in three of these categories, the exception being circumcision. Hellerman notes that circumcision is not simply a “sign of the covenant” in Jubilees, but it had “profoundly sociological (even geographical) significance” as well (Hellerman, 415). Jubilees 15:33-34 connects circumcision with Israel’s election and possession of the land. In 4:26 the author of Jubilees lists four sacred places, including Eden, Sinai and Zion (cf. 8:19, which lists only these three). Clearly proper time is a major interest in the book (both Sabbath, 2:17-18, 50:1-13) but also calendar (6:36-37). Least applicable of Hellerman’s categories is that of sacred food, which finds less support in Jubilees as 1-2 Maccabees. ← What is the Book of Jubilees?